The CE-TECH 1 in. x 1/4 in. Black Nail-In Clips for 1/2 in. Coaxial Cable (20-Pack) secure A/V cable to floor, baseboard and wall surface-TECHs. This clips are UV and corrosion resistant for outdoor use. Digiwave RG621012BF RG6 Coaxial Cable is professional-quality cable with 18 gauge copper clad steel center conductor. Cable also swept-tested to 3000MHz(3GHz). This cable heavily 60% shielded with 100% foiled to minimize interference. Copper clad steel conductor maxima the cable length you can run. Cable is ready for use with F connector installed. Digiwave RG621012WF RG6 Coaxial Cable is professional-quality cable with 18 gauge copper clad steel center conductor. Cable also swept-tested to 3000MHz(3GHz). This cable heavily 60% shielded with 100% foiled to minimize interference. Copper clad steel conductor maxima the cable length you can run. Cable is ready for use with F connector installed. Coaxial Cable Nail-In Clips in Black (20-Pack) The CE-TECH 1 in. x 1/4 in. 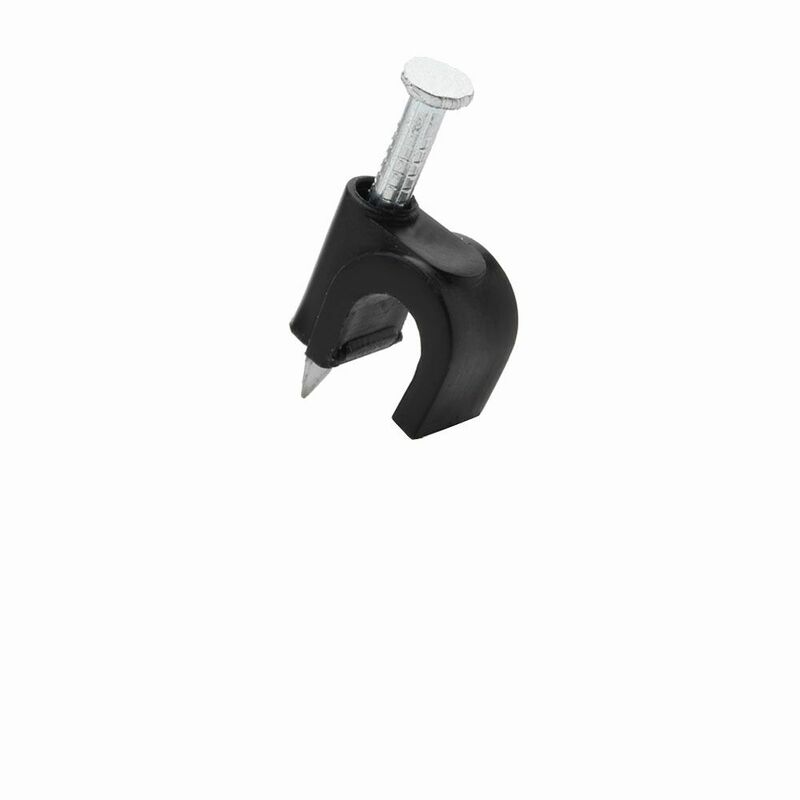 Black Nail-In Clips for 1/2 in. Coaxial Cable (20-Pack) secure A/V cable to floor, baseboard and wall surface-TECHs. This clips are UV and corrosion resistant for outdoor use. Coaxial Cable Nail-In Clips in Black (20-Pack) is rated 4.8 out of 5 by 6. Rated 5 out of 5 by Eddie from Perfect Excellent product, perfect fit, and love how the nail is already in there, so easy to use.